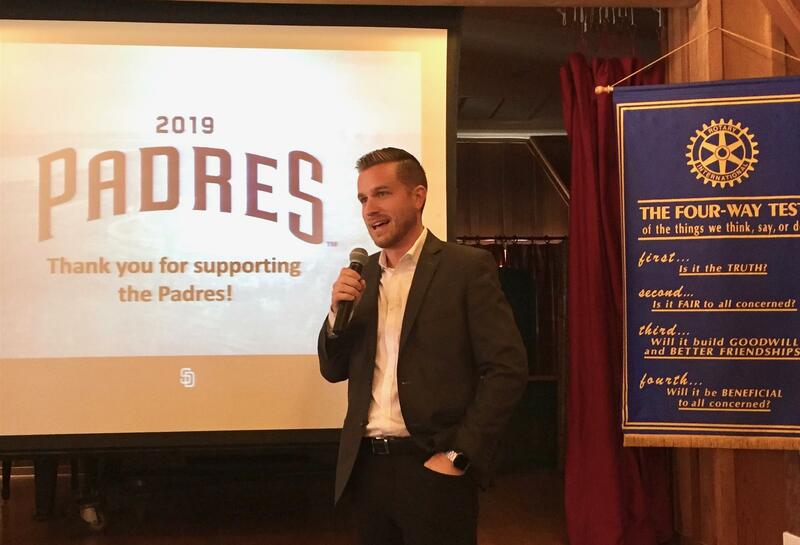 Sergio Del Prado (Sergio del Prado, Senior Vice President, Corporate Partnerships) and Matt Clark (Director of Group Tickets & Hospitality) joined our February 7, 2019 meeting to talk about the upcoming Padres season and events at Petco Park. Although the Padre’s 2018 season was lackluster (40% win rate), the concerts, including the Eagles, Doobie Brothers, Def Leppard and Journey, held at Petco Park set attendance records, the sixth installment of Pedal the Cause raised nearly $3 million to benefit cancer research conducted in the San Diego area, and Trevor Hoffman was inducted into the Hall of Fame. Petco Park continues to be one of the top-ranked ball parks in Major League Baseball, but despite this success the Padres organization is still working to improve the facilities. The Premier Club is undergoing a significant refresh and the updated version will be ready for the 2019 season. The Park at the Park will be updated to provide a better experience for fans attending concerts and many fans will be looking forward to the Paul McCartney concert on June 22. On the baseball side, 2019 is the Padres’ 50th anniversary. The outlook for the upcoming season is good, particularly given that the team has 10 of the top 100 prospects and one of the best farm teams in all of major league baseball. Young players to watch include Fernando Tatis, Jr., MacKenzie Gore, and Luis Urias. Our District 5340 will continue to host baseball nights, so 2019 looks to be a great year to watch some baseball downtown.